Germany has repeatedly defended its participation in the Russian-European gas pipeline project despite criticism coming from the US, its European allies and Ukraine. After the recent incident off the coast of Crimea, when the Russian border control confronted Ukrainian ships, some conservatives in Germany claim this stance should be revised. Germany’s Foreign Minister Heiko Maas has spoken out against the country’s withdrawal from the venture project of Russia’s Gazprom and several European energy giants Nord Stream 2. He rebuffed criticism from lawmakers calling on the German government to drop out of the project in order to punish Moscow for seizing three Ukrainian ships in the Kerch Strait near Crimea late in November. Russia accused them of violating the Russian sea border and failing to react to legal demands to abandon dangerous manoeuvres. The diplomat, representing the Angela Merkel’s Christian Democrats’ coalition partner Social Democrats (SPD), argued that the pipeline would be built even if Berlin pulled out. At the same time, in the case of leaving the project, Germany would lose its leverage to influence Russia’s energy policy, including gas transit via Ukraine. "It would still be built, but there would not be anyone advocating for alternative gas transit through Ukraine. That is why we consider it important to remain engaged politically," Maas told journalists. 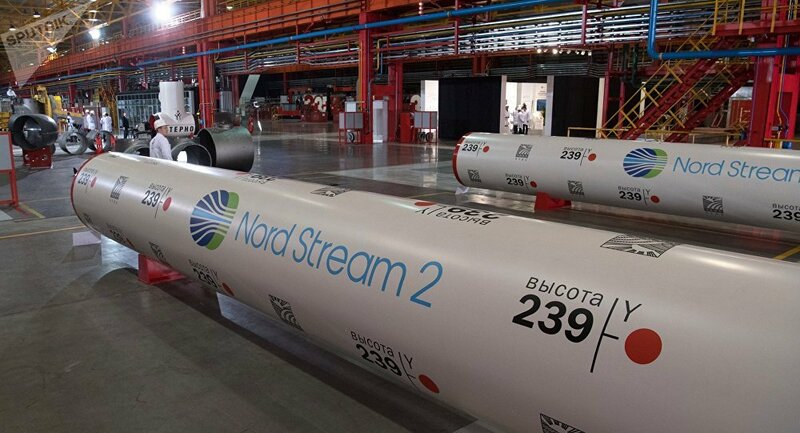 Nord Stream 2 is a joint venture between Russia's Gazprom and five Western European energy concerns, including Germany's Uniper and Wintershall, France's Engie, Austria's OMV, the Dutch-UK Royal Dutch Shell. The $10.9 billion project aims to build a capacity for the delivery of up to 55 billion cubic meters of additional Russian natural gas to Germany via the Baltic Sea, and is expected to become operational by the end of 2019. The project, which has received approval for construction in the territorial and exclusive economic zone waters of Russia, Finland, Sweden, and Germany, has yet to receive Denmark's agreement. Last month, Nord Stream 2 AG, the construction company building the structure, reported that it had already laid about 250 km of pipeline. The project has faced resistance from the US and a number of European countries, including Ukraine, which profits from gas transit from Russia to Europe. Previously, US President Donald Trump slammed EU countries for their support of Nord Stream 2, urging them to abandon it in favour of American LNG, even promising to lift some of the tariffs imposed on the European Union, if it takes his offer. Recently, US Secretary of State Mike Pompeo vowed that Washington would work with Kiev to stop the construction, which, he claims, 'undermines Ukraine's economic and strategic security'. Although the EU and German leadership has stood for the project, the incident off the Crimean coast prompted calls from some European politicians to drop out of the project. Manfred Weber, a European Parliament member from Germany and the leader of the European People's Party who has long been expressing opposition to the Nord Stream 2, urged Europe to reconsider its investment in the pipeline. His fellow lawmaker from Latvia, Sandra Kalniete, has prepared a resolution to be reviewed at the parliament's Committee on Foreign Affairs that calls for measures aimed at suspending the project. The resolution draft reads that “Nord Stream 2 reinforces EU dependency on Russian gas supplies, threatens the EU internal market and is not in line with EU energy policy, and therefore needs to be stopped."